Dr Alan Miller joined other virtual reality educationalists to give an invited keynote talk at the 3rd Immersive Learning Network Conference on Tuesday 27th June. The presentation drew upon two major complementary themes: virtual time travel and the use of immersive technologies for museums. Congratulations to the Open Virtual Worlds Group on reaching the final of a digital competition launched by VisitScotland, Scotland’s national tourism organisation. They presented their final product idea ‘Taste From Afar’ a collection of immersive tours, to a panel of judges in the final stages. 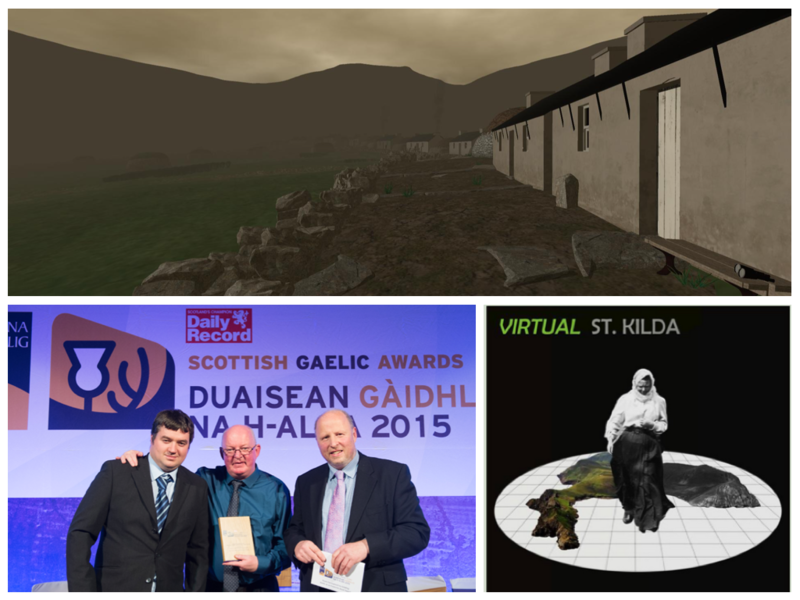 Congratulations to The Open Virtual Worlds group and Virtual St Kilda, which won the Gaelic as an Economic Asset Award at the Daily Record & Bòrd na Gàidhlig Scottish Gaelic Awards 2015. Dr Iain Oliver (left, from Open Virtual Worlds) and Norman MacLeod (middle) are pictured receiving the award on Wednesday evening. 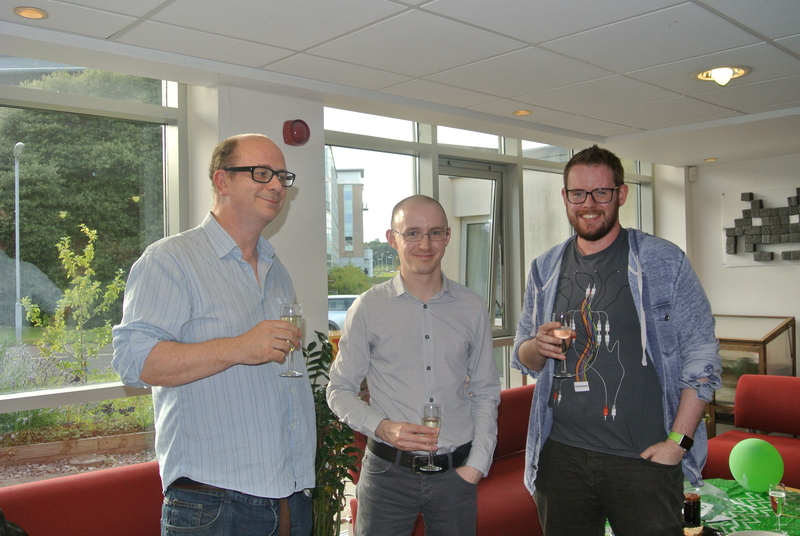 Exciting update on two pieces of software from the Open Virtual Worlds research group. new algirithms and code clarity. A video of Armadillo in action is available on the Open Virtual Worlds’ facebook timeline. Kinect integration in Armadillo was achieved solely using NuiLib. 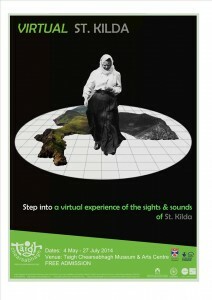 Virtual World performance art project. 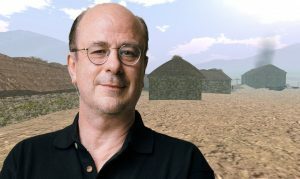 Both projects were developed by John McCaffery. You can find him in Room 0.09 (Jack Cole Building). of St Andrews Cathedral send him an email or pop in for a chat.